It’s been a while since I’ve written a straightforward article about RPG Design; today I want to talk about something that is crucial in most RPGs. When done right, skills can be a lot of fun (for the player and the developer! ), but when done wrong they can make an otherwise-good battle system become boring fast. There are lots of ways to handle skills in your RPG. In most RPGs that I’ve seen, the skills tend to follow a pretty boring formula (typically a formula borrowed from Final Fantasy games): you’ve got skills that deal (or heal) different amounts of damage, to some enemies or all enemies, and you’ve got skills that inflict or cure status effects. It’s very easy for a player to get bored with the skills in your game if you aren’t willing to break away from these staples and create some unique abilities for your characters. I’m not going to talk about skill trees or any stuff like that—how your characters learn skills doesn’t interest me; this article is about the skills themselves and what they do in battle. I’m also not going to cover MP (TP/SP/whatever-you-call-it) costs or balancing. That might be a good subject for another article. I’m going to cover a variety of fundamental skill types that show up in most games, and with each one I am going to try and illustrate a different example of some design flaws that I see all the time when it comes to skills in RPGs. Most of the skills in your game will deal damage. Let’s face it: that’s pretty much the goal of every battle in your game: deal enough damage to defeat the enemy. The easiest way to design damage-dealing skills is also, unfortunately, the one that most people use. Each element (fire, water, etc) will typically have a number of skills that deal different amounts of damage—to one enemy or to multiple enemies. That’s pretty standard, and I have no problem with that as a core. The problem comes when the designer relies on those skills and is unwilling to expand on them. 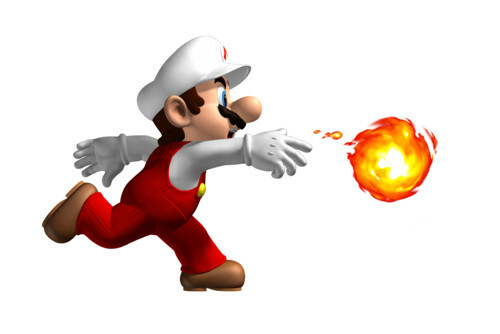 Let’s take a look at an example: say that your character has a fireball skill. It does a decent amount of damage, but as the player levels up, he gets a second fire skill that is essentially the same thing but does more damage. The player really never has any incentive to use the first skill (other than potentially a lower MP cost—but that’s rarely relevant). This is common—too common. There’s a really easy solution: have the new skill overwrite the original one. Nobody wants to spend time scrolling past useless skills in menus. Personally, I might not even have a new skill to upgrade the original. The way I see it, your character has a MAG (INT/MATK/whatever) stat for a reason: as the character gets stronger, so do his skills. If you balance this properly, your character only needs a single core damage-dealing more per element (maybe one for single targets and one more for hitting all enemies). This allows you to use your valuable skill slots for things that are a lot more interesting! And please do not have skills that deal damage less than or equal to the amount of damage that would be dealt with a regular attack (obviously elemental-themed enemies or character gimmicks may be an exception here); I’ve played many RPG Maker games where spamming the “attack” command would deal more damage than using the skills. What you’re doing wrong: clogging up your game with useless skills. Most games will have the same basic effects: poison, sleep, paralysis, etc. There are lots of ways to build skills that inflict these effects, but it is important to keep in mind the point that I stated in the above section: the end goal of every battle in your game is to deal enough damage to defeat the enemy (barring the occasional gimmicky boss, of course). If your status effects don’t lead to dealing more damage to the enemy, then the player is wasting a turn to inflict that status. What is a turn worth to your player? Here is a concept that’s worth thinking about for every skill (and item) that you design in your game: the value of a turn in battle. If a character is going to give up dealing damage for a turn in order to inflict an enemy or ally with a status condition (be it poison, sleep, a buff or debuff), then that status needs to have impact. Think of it as a trade: the player is trading his time (and damage) this turn in order for a bigger payoff in the future. The damage that would be dealt (or prevented, in the case of sleep or paralysis) as a long-term result of the status must be more than the damage that could be dealt that turn just by attacking. In nearly every RPG Maker game that I’ve played, this trade is not worth it. Don’t be afraid to make your status conditions big. Don’t be afraid to make your buffs and debuffs create huge damage swings on the upcoming turns. If the upside of the status effect isn’t worth the loss of the turn, then the player isn’t going to be using those skills very much—if at all! A way to avoid a negative turn-tradeoff is to have status-inflicting skills also deal damage. In the Pokémon games, there are a lot of attacks that deal damage with a percentage of inflicting the enemy with an ailment. The primary function of the attack is to deal damage, but if you get lucky the enemy will be burned, or poisoned, or its speed will be lowered. This is a great way to make use of status effects; the player will never feel that he has “wasted” a turn, and when the status is inflicted, it feels like a bonus. Similarly, if you do make skills that only inflict a status, give them a 100% chance of working. Your player will only get frustrated if he has to spend multiple turns to try and burn an enemy—by the time it actually connects, the other characters will have finished the battle. It is worth noting that it’s very annoying for players who get hit with this stuff by enemies—it is probably worthwhile to have a set of status conditions that the enemies inflict on the players that are weaker than the ones that the players inflict on the enemies. I’m not going to be covering skills from an enemy perspective in this article—but it is worth putting a lot of thought into the difference between what the player does and what happens to the player. In a lot of games, most small enemies will only take a few turns to defeat, so status effects really have no use except against bosses. And then, the developer will go ahead and make most bosses immune to lots of those same conditions. What’s the deal with that? And sometimes bosses can only be defeated with a certain status effect. If the player plays the whole game without ever needing to poison an enemy, and then one particular boss needs to be poisoned—the designer should step back and rethink the function of the poison status itself. What you’re doing wrong: making the player waste his time messing around with lackluster status effects. Now on to the fun stuff: aside from the traditional skills that you’ll find in every game, unique skills can add a new level of depth and fun to your battle system. There’s lots of design space and nearly limitless opportunities to build special skills. It can be a lot of fun to create unique and memorable skills, and finding ways to use them to breathe life into a stale battle system can bring a lot to your game. Some skills can be very zany! Consider skills that change the rules of the battle: one of your characters may be able to cause it to rain, which could have a unique effect on the battlefield. If you have a creative idea for a skill that can mix up a battle, try it out. Be careful not to include too many skills like this, but a few of them (maybe one for each character) can create a memorable game experience. Trick Room changes the rules of the battle so that Pokémon with the lower speed stat moves first. Think of your characters—give each one a unique gimmick, and tie his or her special skills that into that gimmick. Maybe a sorcerer can summon up monsters that fight on your side; or maybe another character can transform into an enemy monster. The classic example of this is the thief’s “steal” skill which rewards the player with items or gold. You can also create skills that have unique effects without necessarily going over the top with them. This is easier than ever in RPG Maker VX Ace, where you can give every skill its own custom damage formula (check out this awesome tutorial by my pal Fomar0153 for even more ideas). Simple tweaks to existing skills can add a lot of depth to the game: a move that always goes first no matter what; a move that punches though the enemy’s defense; a skill that is twice as strong when the user is inflicted with a status condition. Maybe there’s a skill that will deal additional damage if you have a certain item in your inventory. You can even twist things around and have a special skill that deals damage to an enemy based on the user’s defense stat instead of his/her attack. And players will always enjoy the chance to have their characters work together and use combo skills. Be creative and have fun with it! What you’re doing wrong: not taking advantage of unique skills. I could write a lot more about skills, and there’s lots of room to expand on these ideas and others! Remember that the skills that your characters use will become an integral part of your battle system—the skills in your game will play a tremendous role in shaping the feel of the entire game. Do your best to make them creative and memorable. And most importantly, make sure that they are fun!